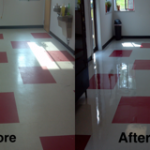 Clean floors are often one of the first things that people notice when they walk through the door of your office or facility. If your floors are covered in dirt and dust, or if large stains dominate the carpet in your entryway or lobby, it will not go unnoticed. 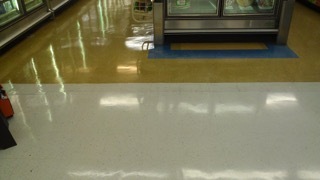 For business owners especially, un-kept floors reflect very poorly on your company. Luckily, Fresh & Clean Carpet King provides commercial floor care and office carpet cleaning services in Iowa City, Iowa, Coralville, North Liberty and surrounding areas. 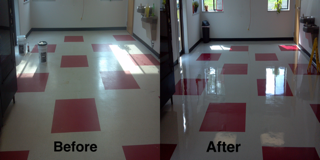 Our team will clean and restore your floors, making your business look great from the front lobby to the back door. You don’t have to spend a fortune replacing your carpets and flooring to make your business look pristine and professional. 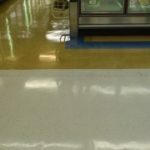 We have over 15 years of experience in the carpet cleaning industry and our team has been waxing and polishing floors for over 10 years. 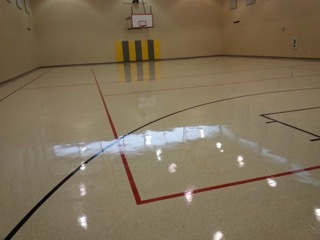 We can revitalize almost any floor, despite how much wear and foot traffic it’s experienced over time. Our customers continue to recommend our services thanks to the thorough, professional service we provide and the individual attention that we give to each of our customers. We go above and beyond to ensure that our customers are not only satisfied, but also delighted with our cleaning services. We are happy to work with your schedule and your needs to ensure your carpet and floors are cleaned properly and in a timely manner. Whether you are preparing for a big corporate event, are conducting a big office spring cleaning, or you are simply tired of looking at dirt and stains, we can help. 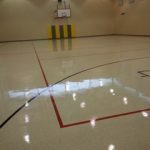 Give us a call today at 319-665-9353 to schedule commercial floor consultation for your office, retail store, restaurant or another business in or around Iowa City, IA.